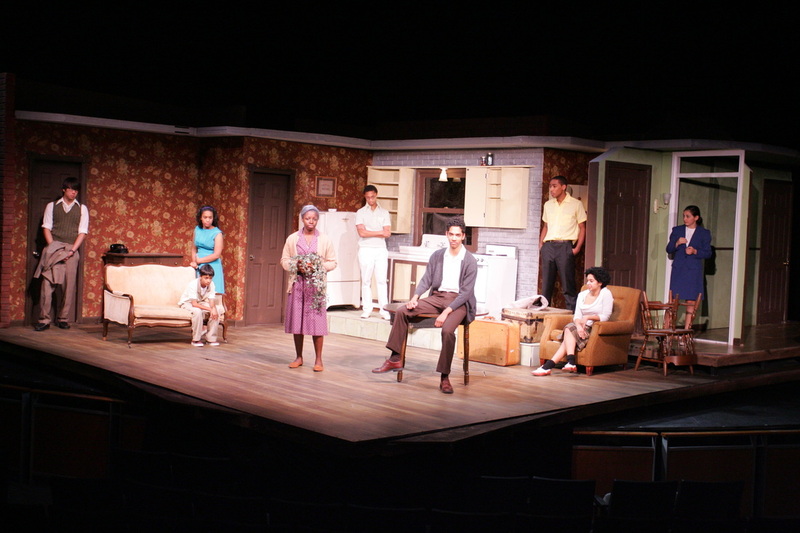 A Raisin in the Sun and Much Ado About Nothing were performed one week apart in the mainstage theater on the same basic set structure which was also the same size as the blackbox theater (which allowed for rehearsals to happen simultaneously). 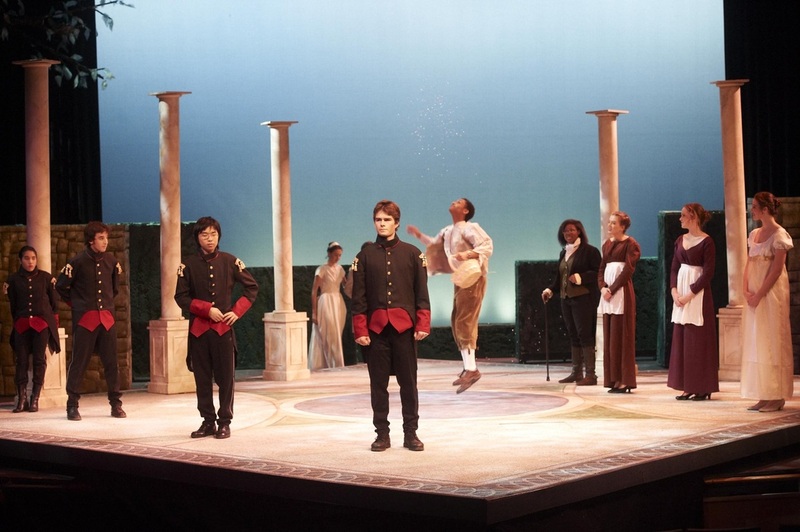 The set for"Raisin" existed within the footprint of the stage deck and the set for "Much Ado" existed as pieces outside that footprint. This allowed for a fast changeover between the two productions and for the set for "Much Ado" to be stored onstage while"Raisin" performed first. The first week it looked like this. The next week it looked like this.